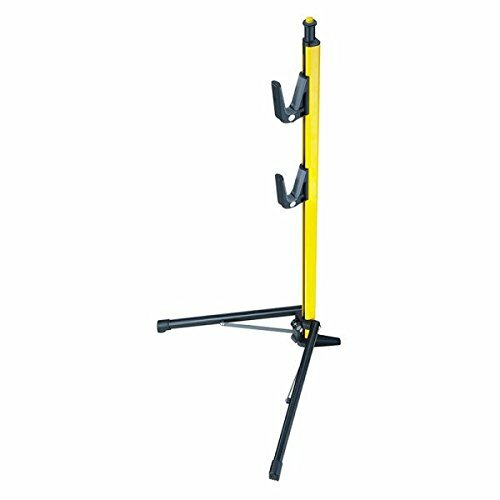 Portable bike stand with foldable hooks and legs. Adjustable seat/chain stay stand for proper fit on different bikes. It is made in TAIWAN.